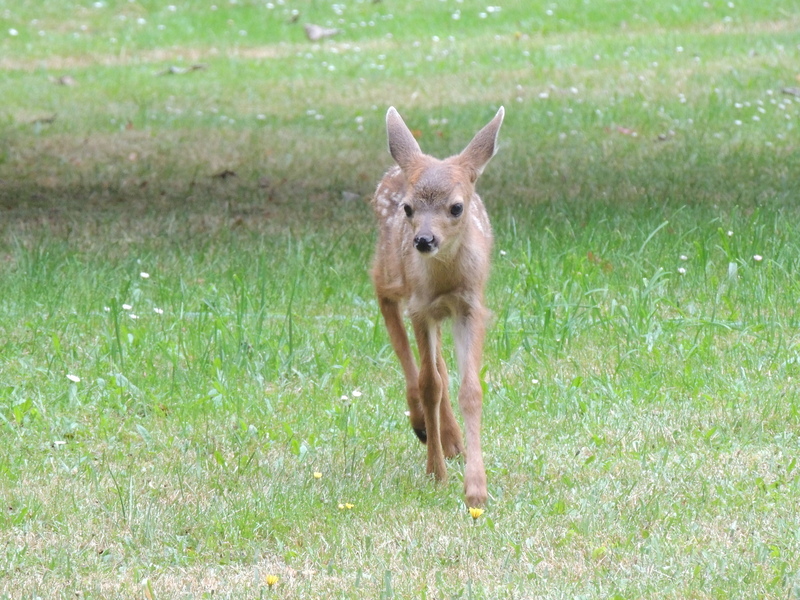 The island’s black-tailed fawns are taking their first steps. 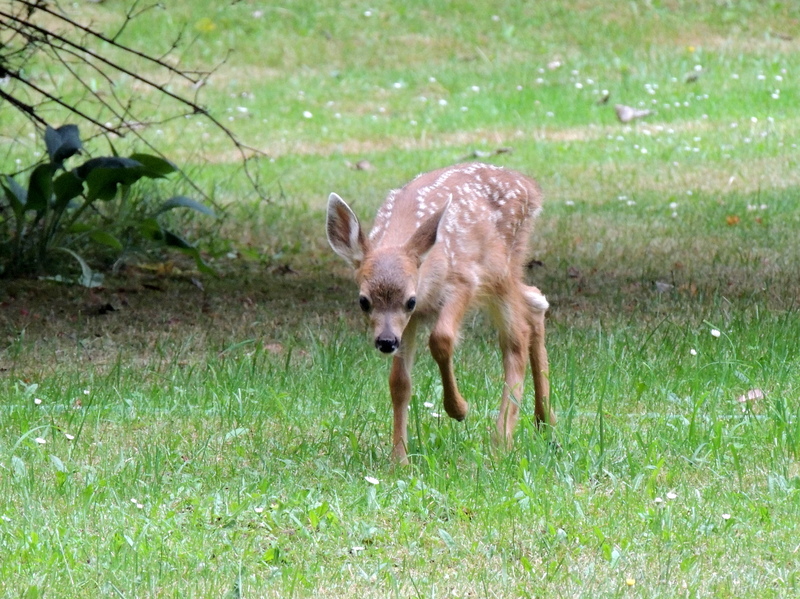 This fawn was grazing with her mother after an early-summer rainfall. 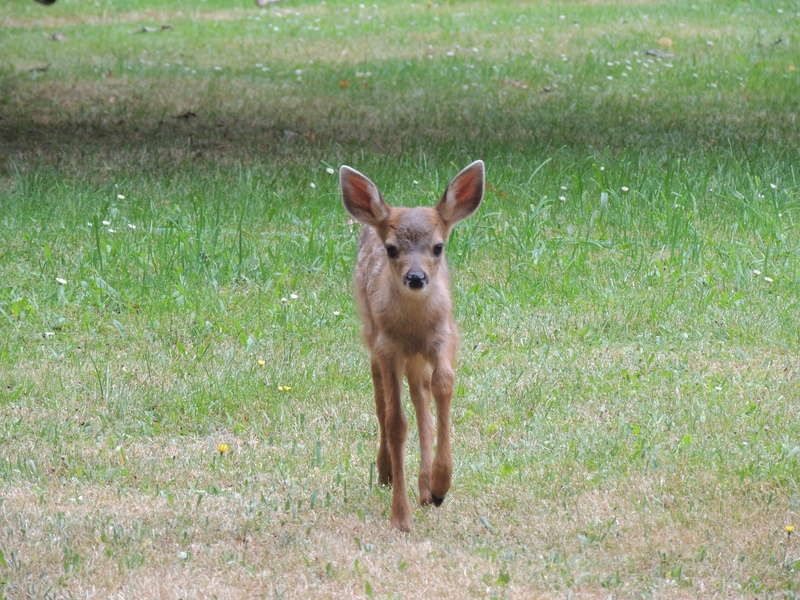 Full of curiosity, she decided to approach the photographer, stopping just a few feet away. 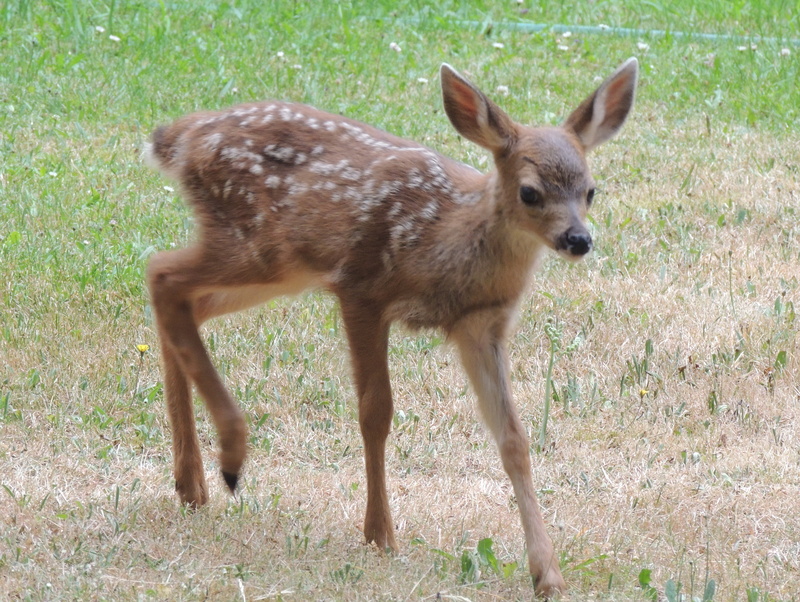 Learn what to do if you encounter a fawn while their mother is foraging.